My sister-in-law gave these to me last weekend to read. I had never heard of them, but she said she had really enjoyed them. I started to read the first one Saturday night. I was up until 2:30, so that I could finish it! Started this one on Sunday night and stayed up most the night. Finished it off on Monday morning. I couldn't put them down! Abby is enjoying her senior year of high school. She has a cute boyfriend, great friends, and the possibility of a college education. But everything in her world changes when Dante Alexander, a foreign exchange student from Italy, walks into the auditorium during play rehearsal. Abby is drawn to Dante and, before she knows it, their lives are intertwined. But Dante isn't who Abby thinks he is, and she is drawn into a mystery reaching all the way back into sixteenth-century Florence. Everything she's worked so hard for, everything she thought she wanted, is threatened by the dangerous truth of Dante's past. 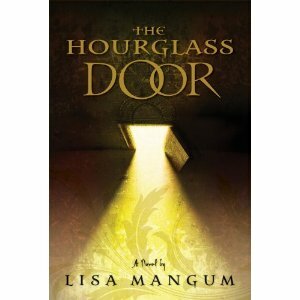 Only Abby can make things right, but is she strong enough to open THE HOURGLASS DOOR? Fans of the Twilight series will appreciate this trilogy. 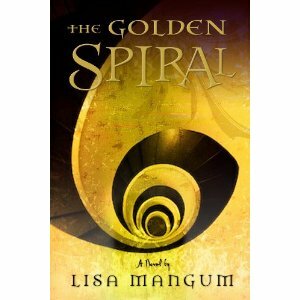 Also if you liked The Mortal Instruments, or Harry Potter saga's, this is a book for you. It's geared toward young adults, but is definitely a great read for anyone! I thought it was a lot more age appropriate than Twilight. I appreciated the fact that it was extremely clean. No swearing and the physical part of the romance is kept in pretty strict bounds. It was just a fun and clean read! My only complaint, I have to wait an entire year to find out what happens!! The third book doesn't come out until next summer!! If your interested, Amazon has a great price on both of the books. You can check them out here.